Wayne Chiles shared information about our Rotary District 7610 ShelterBox USA Program on Thursday evening, August 20, 2015. 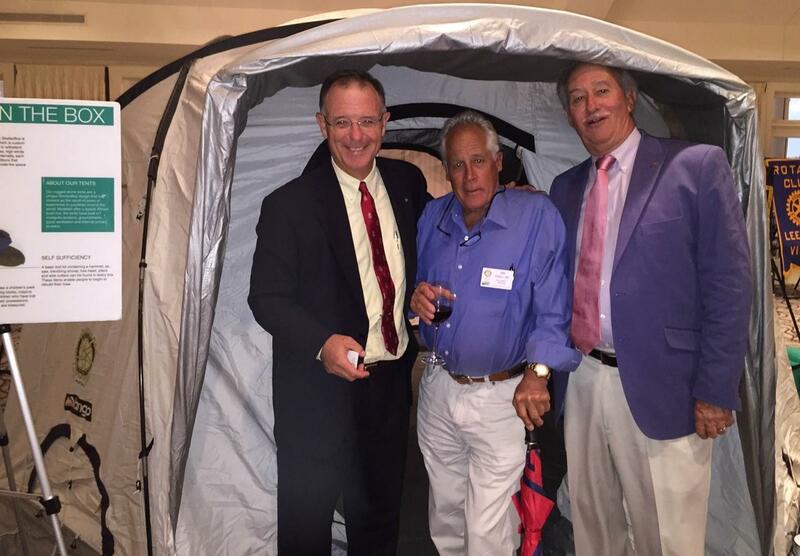 ShelterBox USA, Inc. raises funds and deploys shelter for disaster victims. The valuable and compact contents of the "box" provide essentials to help victims rebuild their lives after experiencing devastation. ShelterBox is a grassroots Rotary club project which has rapidly grown to an international level during the past decade.